CLEVELAND - Cincinnati Reds manager Bryan Price was ejected Saturday before the game against Cleveland began. Price was thrown out by crew chief Jim Reynolds after the lineup cards were exchanged. The two had a lengthy heated argument that continued as the Indians players took the field. Reynolds then threw out Price. The discussion continued before Price finally went to the dugout and returned to the clubhouse. 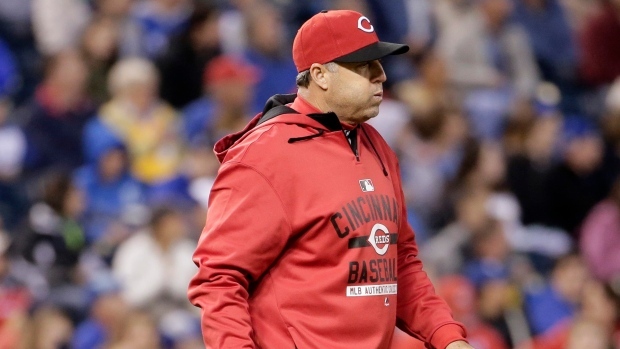 It's unclear what led to the argument, although several Reds players were unhappy with plate umpire Manny Gonzalez's strike zone Friday night. Cincinnati has lost a season-high six straight games and is 18-23, its worst record of the season. The ejection was the second of the season for Price and the fourth of his career.